This hand-held label maker would be a great addition to any home, small business or retail outfit where organization and labelling is key. You may not yet have realised just how useful a label maker can be around the house, but if you’re moving house any time soon then investing in one is sure to make a world of difference. Small business owners are bound to already know the benefits of a good label maker, but if not, then the Brother PT-H101 is a great choice. Simple, small and easy to use, the Brother PT-H101 is a hand-held device that’s perfect for using at home or even when you’re on the go. This particular model has over 170 symbols and 10 auto label designs as well as one-touch keys that make it even easier to quickly and easily access different font sizes, frames, patterns and styles. The label maker measures 12.8 x 7.4 x 4.3in and weighs just 680g making it portable and easy to carry around with you. The main advantage of this label maker is its portability. It also offers a variety of different labelling functions, such as the cable labelling feature that can help you label and systemize your unruly and dangerous cables whether at home or in the workplace. The labels you make with this machine are also suitable for both indoor and outdoor use as the machine uses laminated TZe tape. You can also use split back labels for easy peeling and sticking. 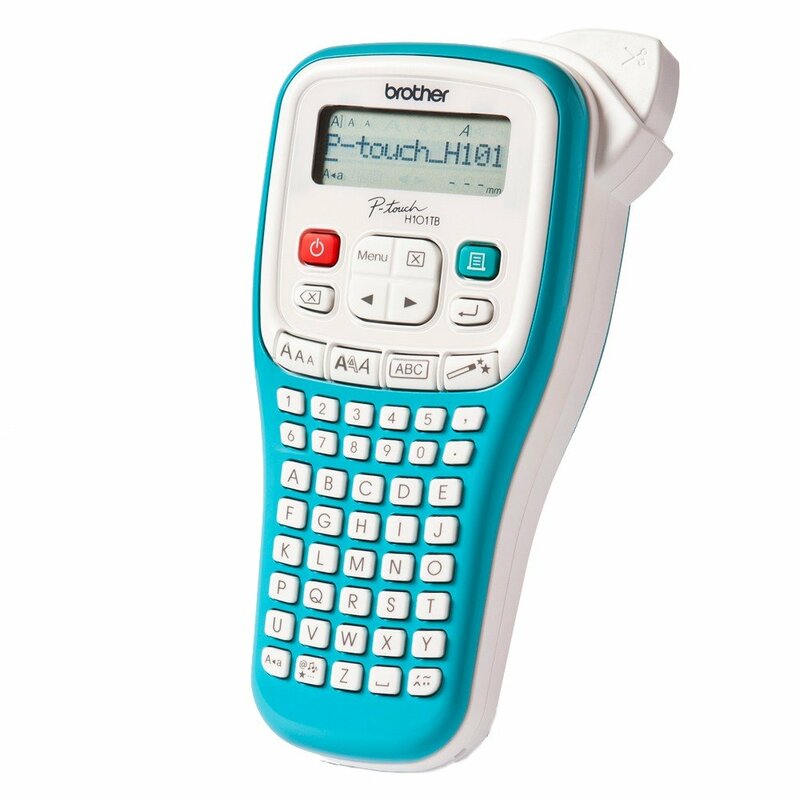 The Brother P-Touch H101 uses 6 triple A batteries which can make using the label maker rather expensive, although you can use rechargeable batteries to help cut down on costs and as ever we have a wide range of tape cartridges that can be used with this model here at Cartridge Save.